Net Price Calculator - Estimate your Cost of Attendance and Financial Aid amounts. Applying for financial aid can be a complex and confusing process and the Financial Aid Staff are available help. Services are available to distance education online students via phone, email, and Zoom video chat. You can still apply for the 2018-2019 school year and use 2016 income information. 2019-2020 FAFSA Available Now! Use this link https://studentaid.ed.gov/sa/fafsa to complete your FAFSA. If you filed a federal tax return, the best way to submit tax information is by using the IRS Data Retrieval tool while completing your FAFSA. It is available for the 2018‒2019 and 2019-2020 FAFSA Form. For more information: https://studentaid.ed.gov/sa/fafsa/filling-out#irs-drt. It is your responsibility to stay informed of deadlines and financial aid status by logging onto mySiskiyous frequently. You must keep your mailing address up to date; log onto mySiskiyous or submit a Change of Information form located in the forms link. The Financial Aid Office will only communicate through COS email accounts. We cannot respond to personal email accounts. COS students have access to Microsoft Office 365, which provides each student an email account once you have registered for classes (or are waitlisted for a class). Please wait 24 hours after registering for your account to become active. Your email account is used for all official communications from the College, so please be sure to check it regularly or have it forwarded to an account you check often. Go to https://outlook.office365.com/owa/ and log in with your full COS student email address. Your COS student email address will be your mySiskiyous user name, followed by @ins.siskiyous.edu (username@ins.siskiyous.edu). The first time you log in, use your six-digit birthdate (mmddyy) followed by the letters "em" as your password. For example, 051388em for someone born on May 13th, 1988. After you attempt to log in the first time, you will be prompted to change your password. Note: This password is different from your mySiskiyous password. More information regarding your student accounts and other student resources is available on the Student Support page (www.siskiyous.edu/studentsupport/). If you need additional assistance to access your COS student email, please write to the Student Help Desk (studenthelpdesk@siskiyous.edu) or call (530) 938-5523. PHOTO ID! All Students must provide their photo ID at the Financial Aid window before we can release information. 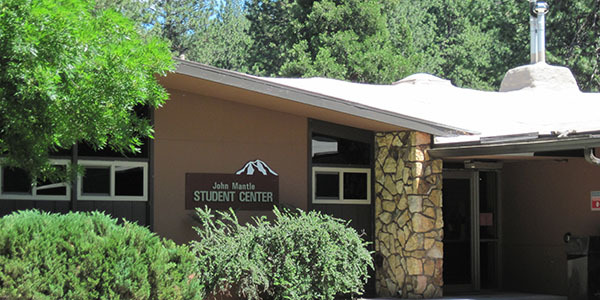 The mission of Financial Aid Office is to assist students and their families in funding educational costs at College of the Siskiyous. We are committed to removing financial barriers that would otherwise prevent students from achieving their educational goals. In addition, we strive to deliver high quality services with professional competency and concern. Respect for the dignity of students and the privacy of confidential information is central to our mission, and we are dedicated to the equitable treatment of all applicants.